The "Just Beet It" cocktail at Upstairs at Hungry's. Think of a restaurant job title other than “chef” and “owner” and career professional Linda Salinas has probably held it at some point or another in Houston. Over the past decade, she’s been a server and in charge of beverage operations at Voice, manager at Haven (both of those restaurants are closed), a wine rep, a bartender at various places including Anvil Bar & Refuge and the bar director at La Grange. For the past few months, though, she’s been consulting on the bar program for “Upstairs” at the recently remodeled Hungry’s in Rice Village. Upstairs at Hungry’s opens a little earlier than most bars—3 p.m.—and for those lucky enough to get there when it opens, it’s an ideal haven. It’s quiet enough to read a book or catch up on some work. Both activities are simply better with a cocktail or glass of wine on-hand. When happy hour kicks in at 4 p.m., there are plenty of specials to choose from. Texas draft beers are $4, select wines are $5 and the Old Fashioned (a reliable mix of Buffalo Trace, Angostura bitters, orange peel and simple syrup), Grapefruit Spritz, Bellini and Frozé cocktails are also $5. Speaking of frozé, or frozen rosé: it was the hip drink of last summer, but it’s tasty enough to hopefully stick around through next summer, too. Upstairs’ version is a frosty balance of wine, strawberries and Antica Carpano, a complex Italian vermouth. With those cocktails, visitors are likely to want some munchies. There’s a selection of bar bites that fit the bill, including Sriracha Chicken Wings (served in a cast iron skillet). Highly recommended is the dramatically plated Taos Tartare. 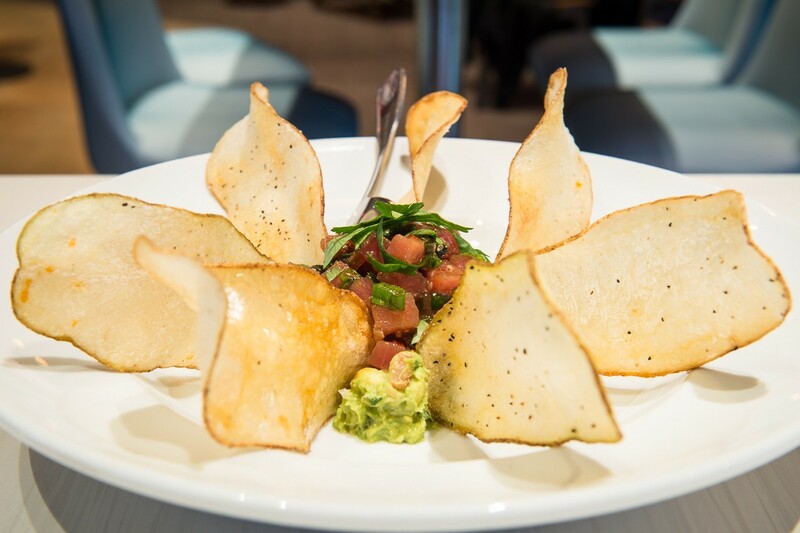 The wing-like, housemade potato chips are artfully arranged around a center of marinated ahi tuna and guacamole. Rice Village is known for weekend crowds on the hunt for shot nights and pub crawls—and the rowdy clamor that goes with it. 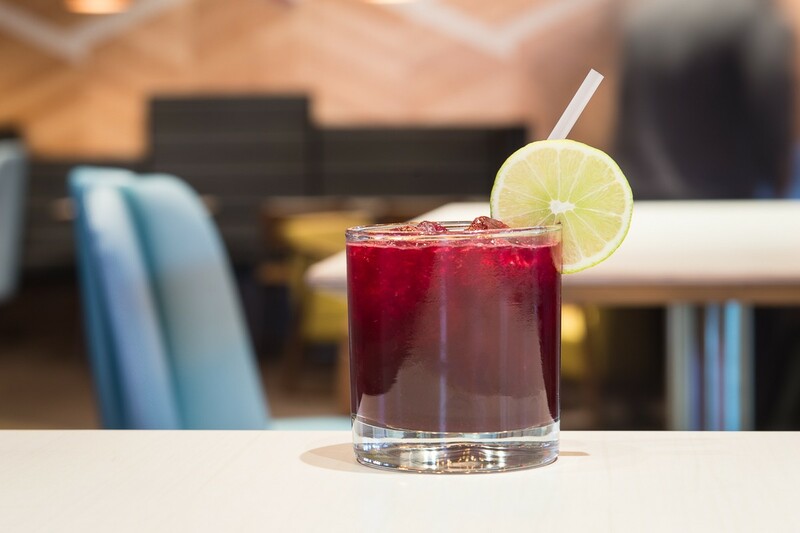 Upstairs at Hungry’s serves as a sophisticated but unfussy counterbalance that ensures that when it comes to getting drinks in the area, there really is something for everyone.